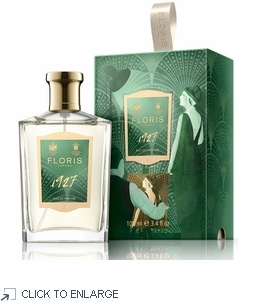 1927 is a brilliant addition to the Fragrance Journals Collection. A sparkling citrus fragrance bringing to mind the elegance, opulence and glamour of the twenties, '1927' opens with decadent shimmering aldehydes balanced with a burst of zesty bergamot and hints of mandarin. These top notes are then accompanied by a voluptuous floral heart of violet in homage to Beaton’s quote, ylang ylang, and narcissus with mimosa, all adding depth and complexity. '1927' concludes with the rich, sensual base notes of musk, amber, patchouli and vanilla. 1927 is a fragrance bursting with creativity as the jazz age blossomed as an eclectic set of young socialites flourished in an era of irresponsibility and pleasure. Known as the Bright Young Things, an invented generation, of aristocrats, middle class adventurers and bohemian artists who threw off their shackles and indulged in what was created as 'youth culture'. Beyond the frivolity and excess of bohemian 1920s, a collective of London artists and social commentators, many who were characterized as part of the set, began turning this era into subject matter. 1927 Eau de Parfum, plays homage to the creatives, artists, playwrights and authors who went beyond the triviality and documented a moment in time. Beautifully boxed; 100ml / 3.4 fl oz natural spray. Made in England.